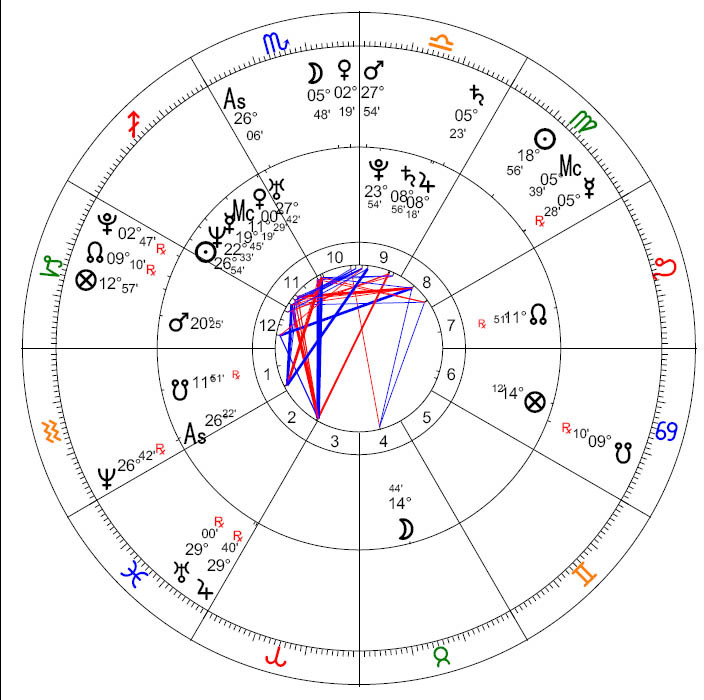 Christina Aguilera is currently undergoing her Saturn return in early Libra, which is coinciding with her divorce from her husband of five years, Jordan Bratman. Christina Aguilera is relying on her mother, her son and her closest friends to help her through the emotional turmoil of her divorce from Jordan Bratman. “It’s not easy, and there have been a lot of tears and sadness. It’s impossible to redefine yourself and your life overnight,” the pop star, 29, tells Redbook in its November issue, on newsstands November 16. As you can see, with her natal Saturn at 8 Libra, transiting Saturn returned to its natal position in her chart shortly after the date that she listed on the court papers for when the two separated. Saturn’s ingress into Libra occurred in late July, and it was probably sometime not long after that when it became clear that things were not going to work out. I suspect that problems began to surface, and there was some foreshadowing of the split about a year ago, between late October of 2009 until early April 2010, when Saturn first dipped into Libra, but then went back into Virgo for a while. Aside from the Saturn return, it is worth mentioning that the current Venus retrograde in Scorpio, which was already in its shadow period at the time of the separation, is a recurrence of the same Venus retrograde that occurred in Scorpio in 2002, which is also the year that the couple first got together. 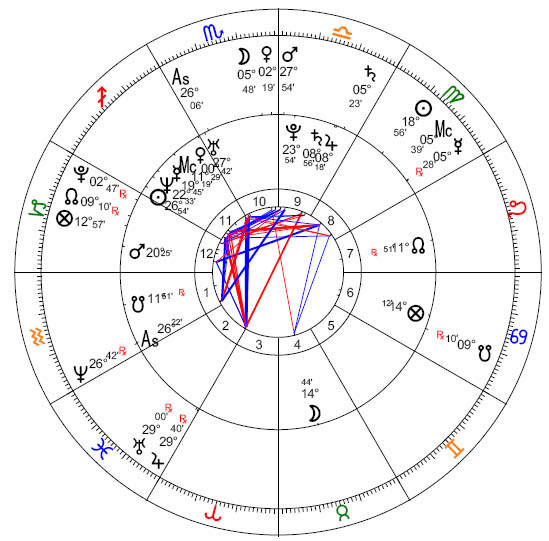 Finally, transiting Uranus is currently squaring Aguilera’s natal Sun, which is the ruler of her 7th house of marriage and partnership, thus showing the disruption of her relationship. With Saturn ruling her ascendant, the take home lesson for this Saturn return probably has something to do with Aguilera’s statement about “redefining” herself, since the ascendant and its ruler are usually associated with the personal identity of the native.